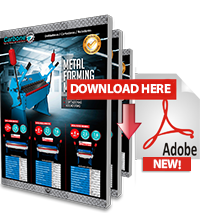 Within its new line of machinery for metalworking Carbone Costa Rica presents the new line of manual press brake folding machines QWH06 2.0 X 3050A, ideal for the workshop and for easily bend steel sheets. Handles thick carbon steel 2.0 mm and 1.5 mm stainless steel with a bending angle of 0 to 135 ° and a minimum reverse bending 5/8″. Model 2540A QWH06 2.5 X handles thick carbon steel and 2.5 mm stainless steel 1.6 mm, a bending angle of 0 to 135° and a minimum reverse bending 5/8″. 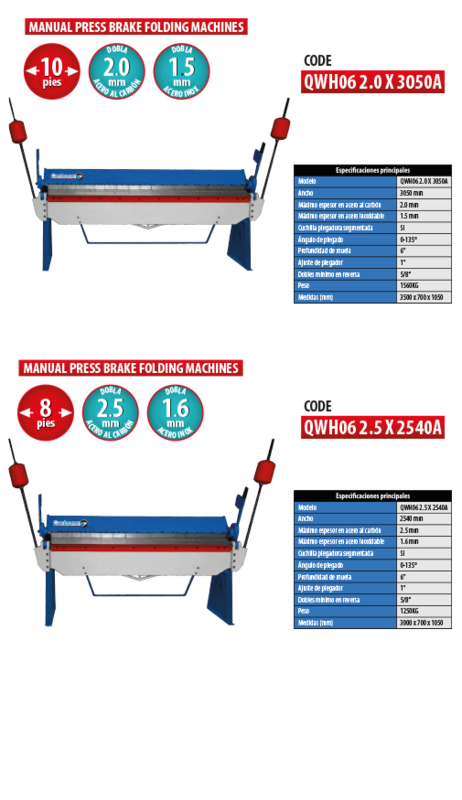 Has a segmented bending blade, a weight of 1250 kg and measures 3000X700X1050 mm.